Diaa Bekheet | Washington, DC – I was sipping tea in the famous Al-Fishawy coffee shop in old Cairo, when a young man next to me said to a tourist: “Anwar Wagdi is as famous as Miles Davis!” He was pointing to an Egyptian movie star who was playing trumpet in a 1949 movie showing on a wall-mounted television set. Wagdi’s trumpet solo was brilliant. I asked the man if he had ever listened to Miles Davis. “Never,” he responded. “But who doesn’t know Miles Davis? The greatest trumpeter of all time.” My face reflected my surprise. Davis is known worldwide – even by those who have never heard his music – for what he did to revolutionize jazz music between the 1940’s and 1970’s. He helped create Cool Jazz in New York in the late 1940’s when he played with saxophonist Charlie Parker, trumpeter Dizzy Gillespie and other big bandleaders of the era. In 1949 Davis recorded his first hit album Birth of the Cool. In the 1959, he introduced Modal Jazz. And in 1969, Davis mixed jazz with rock music to create Jazz Fusion. Despite all those achievements, he wanted to be called Miles Davis without labels. The eight-time Grammy winner was one of the prime movers of jazz; a “Chameleon of Jazz” who changed the direction of jazz music multiple times. John Edward Hasse, curator of American music at the Smithsonian, gives us some thoughts about Miles Davis. 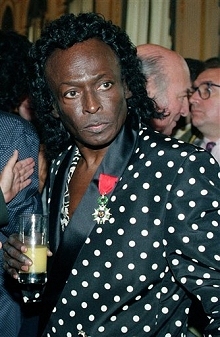 Miles Davis later became one of the true giants of jazz. He received many awards; the last one was in July 1991, when the French government awarded him the Chevalier de la Legion d’Honneur medal. Two months later, Davis died in a southern California hospital of pneumonia and heart failure. He was 65. Davis is also considered one of the most important musicians in jazz history, an icon who created the jazz language and helped define its repertoire. He is also called “The Picasso of Jazz” for his abstract music style. thanks for the thoughtful story. I could not agree more. My father was greatly influenced by Miles, he was a lifelong fan and so am I.